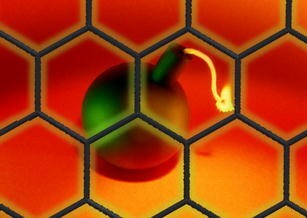 The detection of explosives in seawater is of great interest. We compared response single-, few-, and multilayer graphene nanoribbons and graphite microparticle-based electrodes toward the electrochemical reduction of 2,4,6-trinitrotoluene (TNT). We optimized parameters such as accumulation time, accumulation potential, and pH. We found that few-layer graphene exhibits about 20% enhanced signal for TNT after accumulation when compared to multilayer graphene nanoribbons. However, graphite microparticle-modified electrode provides higher sensitivity, and there was no significant difference in the performance of single-, few-, and multilayer graphene nanoribbons and graphite microparticles for the electrochemical detection of TNT. We established the limit of detection of TNT in untreated seawater at 1 μg/mL. 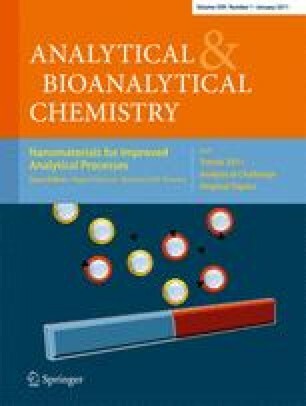 Published in the special issue Nanomaterials for Improved Analytical Processes with Guest Editors Miguel Valcárcel and Bartolomé M. Simonet. This work was partially supported by MINDEF-NTU-JPP/10/07 grant from the Ministry of Defense, Singapore and NAP start-up fund (grant no. M58110066) provided by NTU.